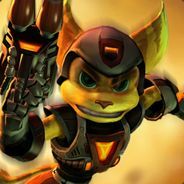 Discuss your favourite or least favourite Skins and Armor in Ratchet and Clank: Up Your Arsenal. Was these selections of Skins and Armor were the best in this Ratchet title? I think the skin collections in UYA were quite fun to use to be honest. Some felt not that charming like the robotic skins for instance but the ones that provided a Ratchet design were cool to use. Skins such as the Tuxedo (even though it's not as great as the one in Going Commando) and Old School Ratchet were ones I would constantly change too sometimes. As for the Armor, they seem to be quite similar to the ones in Going Commando, but each armor looked good on Ratchet, except the last one where you don't see his face what-so-ever. And for the armor,I loved it.They were creative,neat,and fit well on Ratchet.And like all final armors,I personally didn't like it. And sometimes I don't get why Insomniac still puts those final armors in each Ratchet sequel when a lot of fans don't even like them in the first place. Then again, I could be wrong and there could be some people that might find it bad a**. Even though the skins provided a lot of robotic looks into the skins section, but I got to admit that it did match the premise of the story experience well in Up Your Arsenal. 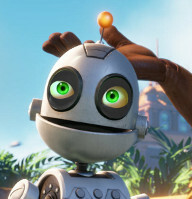 - Robots were getting a lot more appreciation than life forms in the game, such as Courtney Gears and Clank's TV hit Secret Agent Clank. … Yup! It's definitely the most robot themed game in the franchise. I like the "Tuxedo Ratchet" skin + "Secret Agent Clank" cheat together. And then the Thruster Pack. That locks like this real kind of Secret Agent Gadget. But of course, the final armour. You can't see his face. My favorite skin was the robots you meet on planet Daxx. They look so cool. Infernox Armor + Secret Agent Clank Cheat + Thruster Pack + Laser Sword Cheat = Awesome Combo! The Red one looked cool and so did Aegis Mark V (green) blue looked cool but in challenge they dont save you and they force you to buy infernox. and i think infernox is stupid looking helmet. i wish you could wear any armor and still have protection of infernox.